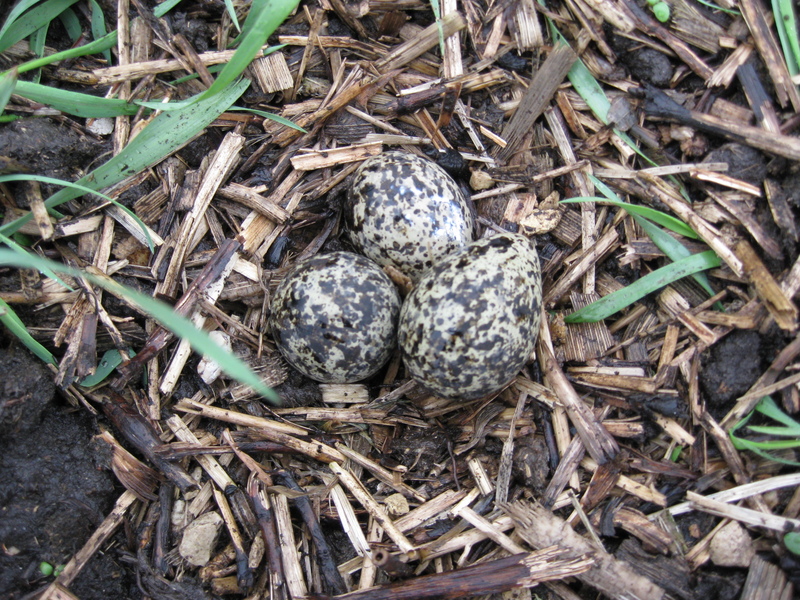 Killdeer nest. Can you see the nest in the center of the photo below? I took this picture at eye level, standing a few feet away. I found the nest because the mother moved off of it as I walked by her. 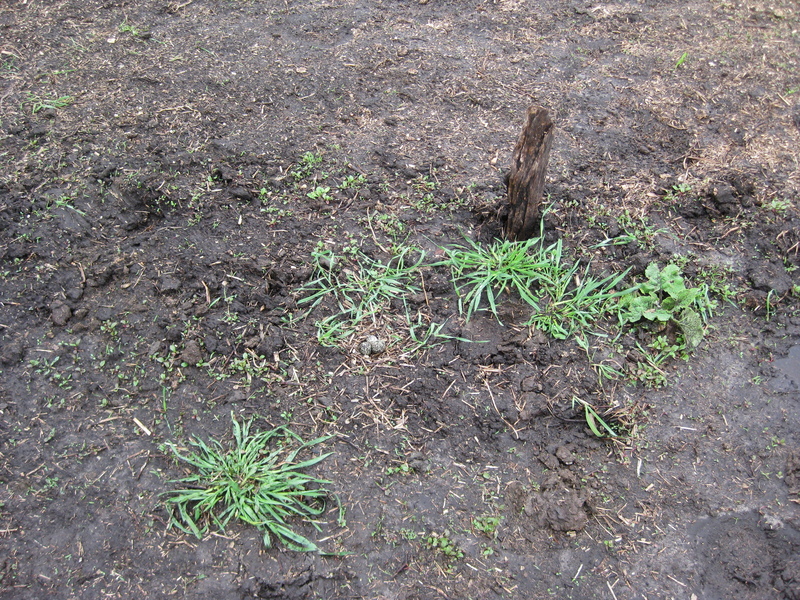 I stuck a stick in the ground to help me find it again. Even with the stick, it takes me awhile to find the nest. The eggs almost seem invisible. Killdeer parents are tenacious and almost annoying in defense of their young. They employ a broken-wing strategy in combination with a distress call to lure predators away from the nest or their precocial chicks. I know this because they do this to me all the time, thinking I’m a predator. I got to thinking about camouflage. Killdeer begin life as wallflowers; but need to step out of that role to raise a family. This entry was posted on Saturday, May 1st, 2010 at 12:32 am and is filed under Curious living, Curious nature. You can follow any responses to this entry through the RSS 2.0 feed. You can leave a response, or trackback from your own site. Looks like you have enough for an omelette.